Starbound 2周年 - Powered by Discuz! 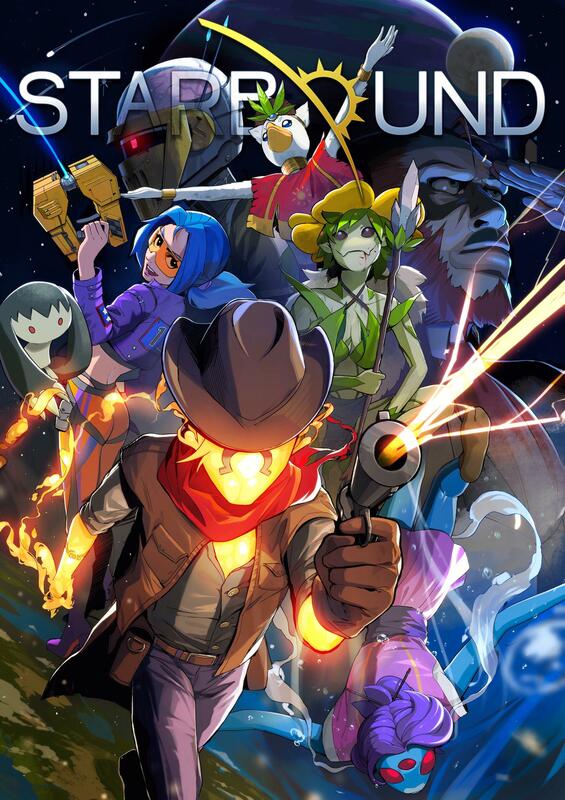 Today is a special day for the team here, as it marks Starbound’s (official) 2 Year Anniversary since 1.0 and the game’s full release on Steam. Since then we’ve had a few major updates (woo Mechs!) and are looking ahead to the future of Starbound, including the upcoming Xbox One release. It’s coming along really well, and is currently in the final QA process after the team has made a few performance fixes, and all being well the next step will be sending off for Microsoft certification before it’s ready to go live! We’ll keep you posted once we’re 99.9% sure on an exact launch date. But special occasions like this are also a great time to look back on the game’s development, launch and amazing community response! A few developers have offered to share some stories, thoughts, and memories about Starbound for this anniversary! Starbound is a big game and I’ve had a hand in various aspects of it (I hope you liked my mech designs!) but my favourite thing to develop is bosses! I designed and animated a lot of the bosses in Starbound, and closest to my heart is Asra Nox. 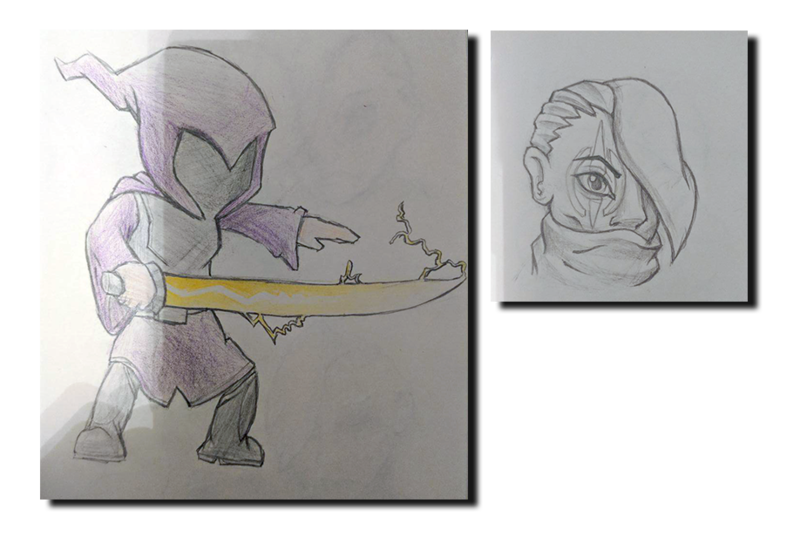 I managed to find pictures of my earliest sketches of the then-called “cultist boss”. At first Nox was designed simply to be a classic “mirror boss” where you fight against an opponent who has similar abilities to the player, but Nox ended up evolving into one of my favourite Starbound characters. I’ve seen some fantastic fan art of her! It would be nice to one day come back to her story. 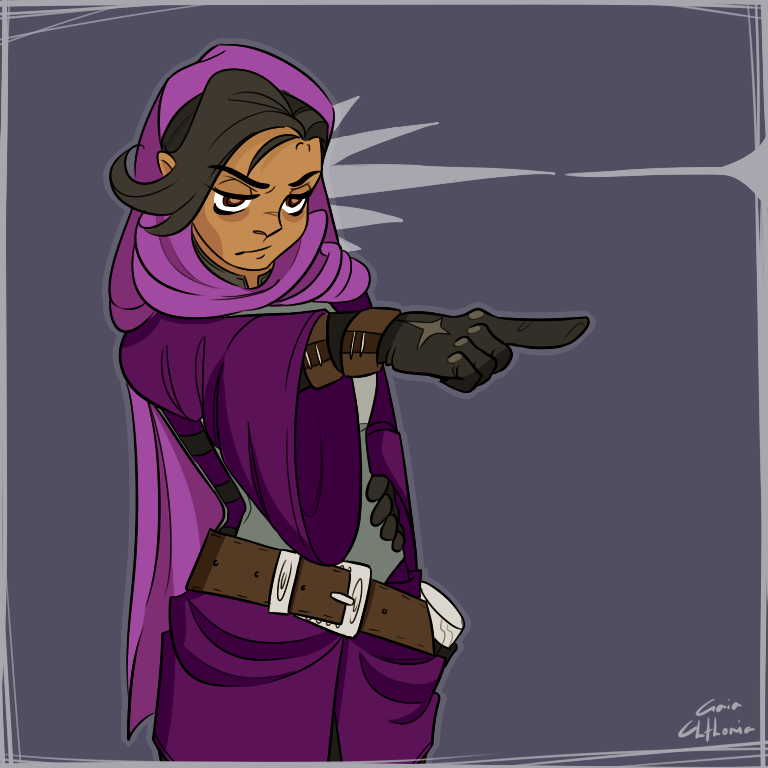 Speaking of Nox, I’ve also had a ton of fun recently watching PeanutButterGamer’s Starbound HC playthrough. The true villain of Starbound is actually fall damage. 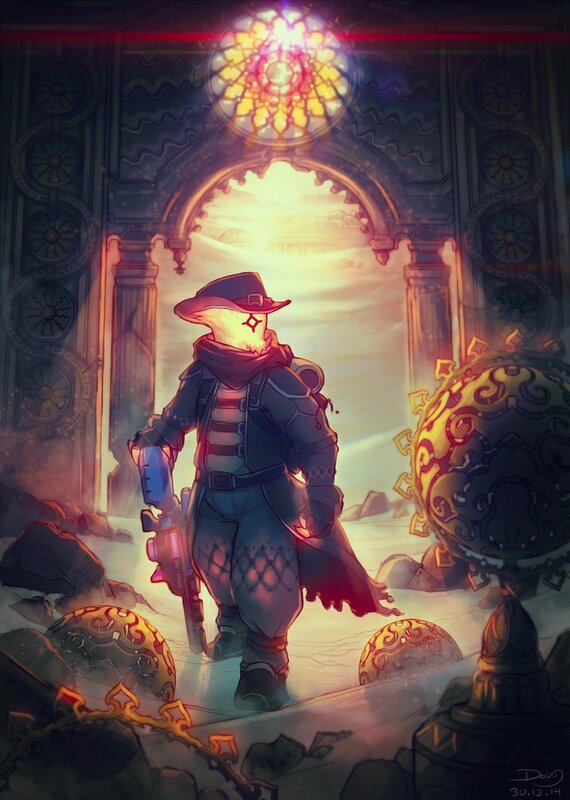 I joined the Starbound team as an artist soon after the game went into early access, up until its successful launch in 2016. We were a very small team making a very big game, and it required us all to wear many different hats! Some of my favourite work on the project was getting to design the planet parallax backgrounds, the Novakid spaceship and animating the wacky stores at the Outpost, such as Penguin Pete, Treasured Trophies and the Tech Lab. For most people on the team this was our first experience making a game, with the added challenge of people playing it as we pushed, pulled, tugged and twisted it into position. I’m very thankful for all of you who came along on that ride with us! Starbound is a great game that I’m proud to have been a small part of. I’m very excited to see the game continue to grow and evolve, and that’s all thanks to its dedicated community. I first got involved with Starbound through modding shortly after early access release in 2013. After having my turret mod included the game, and working with Alex (metadept) on the collaborative Starfoundry mod, I joined the chucklefish team in late 2014. In the nearly two years leading up to 1.0 I worked on a lot of monster and NPC AI, scripting bosses, weapons, missions, fossils, arcade games, and quests. Some of my favorite work was designing the procedurally generated boss encounters of the 1.2 vaults. Here’s a glimpse of what things sometimes look like in the middle of development. It was an absolute privilege to get involved with Starbound so early in the project’s life, and to have stuck it out with Chucklefish to this very day. The game ended up touching almost every aspect of my life in some way or another, whether that was through the people I met along the way, the place I now call home, and the fact I’ve comfortably settled into a career I’d long-assumed was out of my reach. I’ve been pushed to learn new skills day after day, year after year, and I can’t imagine who I would be today had I not been invited to be a part of such an amazing project. One of my favourite memories, even today, was from April Fool’s day before Starbound had even gone early access. I ended up replacing all the game’s weapon sound effects with mouth sounds I recorded, and I then inserted them into the build that everyone else would be using that day. It didn’t take long before our project chat was filled with surprise and laughter. I ended up capturing these stupid sounds all on video to preserve this silly joke. I came to the team fairly late in development, but I was lucky enough to still get to work on lots of cool little features. Some of the most fun features were the colonies, procedural quests and crew members. My favorite memory of Starbound happened when I was working on NPC reactions. NPCs are able to interact with other nearby NPCs. They each take turns to play random animations, influenced by previous animations and the NPCs’ individual personalities. What I didn’t immediately realise was that there were not enough programmed reactions in some cases, and they could get stuck in a loop… Such as when Reddit reported that all their villagers were constantly vomiting over each other. I’m one of a few people involved with Starbound who started as a fan! I took a deep dive and started what later became the Starbound wiki as a personal project to organize information about this game I was excited about – the first few months the wiki was online I didn’t even share it, it was just a wiki for myself haha. In those days Bartwe would do daily development streams which were largely programming (and loud keyboard clicking – the inspiration for The Model M). He wouldn’t save those recordings, so I’d capture my screen to video every day, then scrub the video to find small pieces of gameplay where he’d test something to crop sprites or a glimpse of a json file where I could catch some name/category/description details. That’s why a bunch of the earliest sprites on the wiki are blurry – they were compressed through twitch, then through another video processor before being cropped out. Once I started helping with development, some of the things which stand out were when Tiyuri and I went through and reworked the crafting table system together (before upgrading there were a whoooole lot more crafting tables) and designing and developing the Floran arena sidequest (with a bunch of balance help from Armagon). It’s hard to believe it’s been two years since 1.0 released! Getting Starbound to that point was such an exciting journey, and I can’t wait to see how the game will continue to evolve in the next two years – both through development updates and community content. 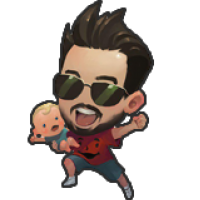 Aside from the fact that a number of devs came from the community, the reason Starbound is the game it is now is because of years of community creativity and passion. Thanks for all the love you’ve shared for our game!! We Secure. We Contain. We Protect. And We Never Forget. GMT+8, 2019-4-22 18:11 , Processed in 0.070138 second(s), 26 queries .